Uncapped earning potential. All degrees welcome. 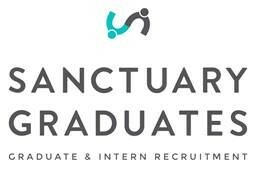 Sales Graduate Roles at 2 different companies with Uncapped Earning Potential! Get considered for one or both opportunities. All degrees welcome. – A direct sales business that develops and manufactures automation sensors, measuring instruments and digital microscopes across the globe, that have been listed in Forbes’ Top 100 most innovative companies! Who is best suited to these roles? It only takes 30 seconds to register your interest in these roles, and we’ll support you throughout the full application process!